USA and Canada to Face-off In the 2018 Ice Hockey Classic Touring New Zealand in June. 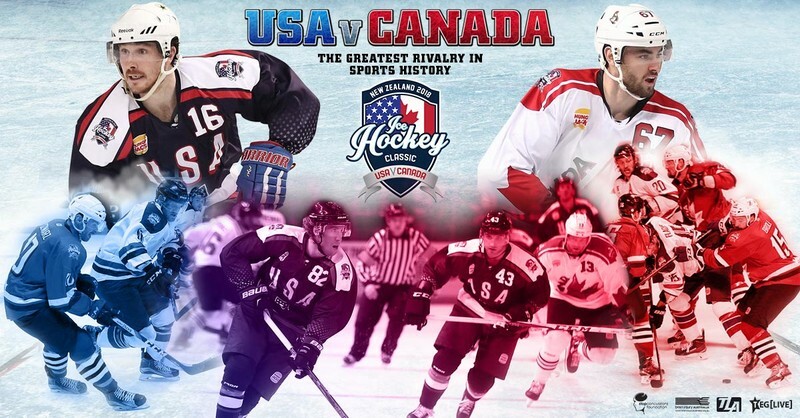 TEG Live and TLA Worldwide are excited to announce that the 2018 Ice Hockey Classic will be touring New Zealand on the 22nd, 23rd and 28th June for three high-intensity games between world famous rivals, USA and Canada. After successful Australian events in 2015, 2016 and 2017, the 2018 Ice Hockey Classic will now thrill New Zealand fans with games in Auckland (Spark Arena), Wellington (Westpac Stadium) and Queenstown (Queenstown Ice Arena). International ice hockey was last seen in New Zealand in 2011 when USA and Canada played a three game exhibition series, the 2018 Ice Hockey Classic will give spectators the chance to witness world-class level games for the first time in seven years. The 2018 Ice Hockey Classic will be the first international ice hockey game played in Wellington and excitingly for Westpac Stadium, this is the first time in the Southern Hemisphere that an outdoor ice hockey game has been held at a major stadium. The teams from USA and Canada will feature a collection of current ice hockey stars, illustrious veterans and promising emerging talents showcasing the toughness, speed and skill of international ice hockey. As well as showcasing the highest quality ice hockey, the 2018 Ice Hockey Classic will raise awareness and funds for the Stopconcussions Foundation. Stopconcussions is a not-for-profit concussion and neurotrauma awareness and education platform founded by former European star, Kerry Goulet, and ex-NHL stars, Keith and Wayne Primeau. Book your tickets for the 2018 Ice Hockey Classic now!